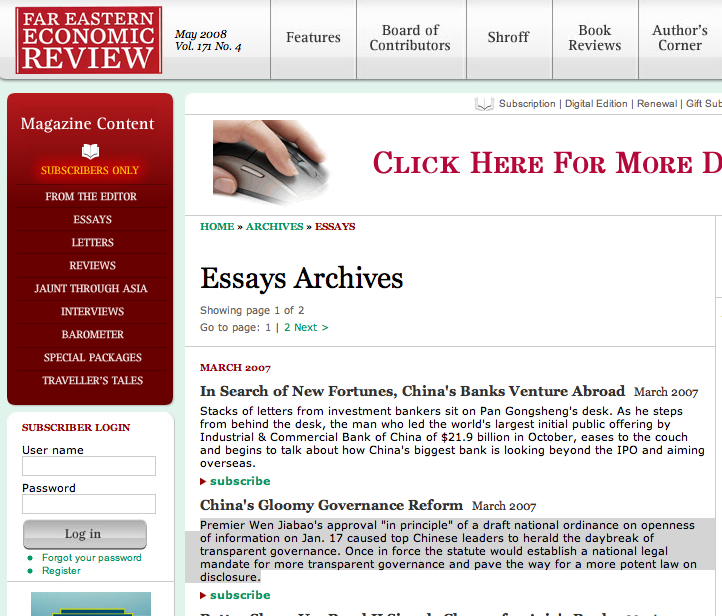 There have been many reports lately suggesting the government might move soon to reform or dismantle its restrictive household registration, or hukou, system, an internal passport system that has left millions of rural migrants in China’s rapidly developing cities cut off from the full benefits of economic development and urbanization. It looks more likely, however, that pending reforms will mark only a slight shift, allowing rural migrants to gain local hukou status only in smaller cities. 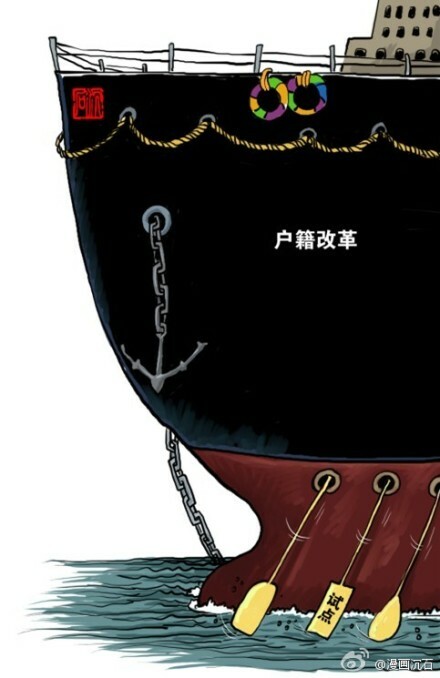 In the above cartoon, posted to Sina Weibo by artist “Cartoon Sinking Stone” (漫画沉石), a massive tanker is labeled “Hukou Reform,” but the ship is getting nowhere because it is propelled forward only by tiny, ineffectual oars labeled “pilot project.” It appears, meanwhile, that the ship is actually anchored on the opposite side.